It is rightly said that a cigarette is a pipe with fire at one end and a fool at the other. Who else if not a fool, will smoke a cigarette even after knowing the drastic destruction it can cause to one’s body. But people still do that. Here are some facts to prove it. Every day, over 5,500 children start to use tobacco in INDIA. Many of them are as young as 8 years old. And 2,500 INDIAN’s die from tobacco-related diseases every day. Smokers in India consume an average of 8.2 cigarettes per day. Smoking has emerged as the third top most risk for health loss in INDIA. In India, smoking is something that has been continuing from 2000 BC at a time when cannabis was smoked which is now illegal. This is because cannabis slowly destroys your nerve cells. But smoking tobacco does way worse things to human body. It contains nicotine which makes a human being completely addictive and dependent on a tobacco. It suppresses appetite and makes one’s vision poor. It causes chronic obstructive pulmonary diseases and constricts blood vessels. More serious affects include blood cancer, mouth cancer, lung cancer, heart diseases, diabetes complications, erectile dysfunction and cervical cancer. The list of harmful effects of smoking is never ending. Still there are so many people around the world who are chain smokers. 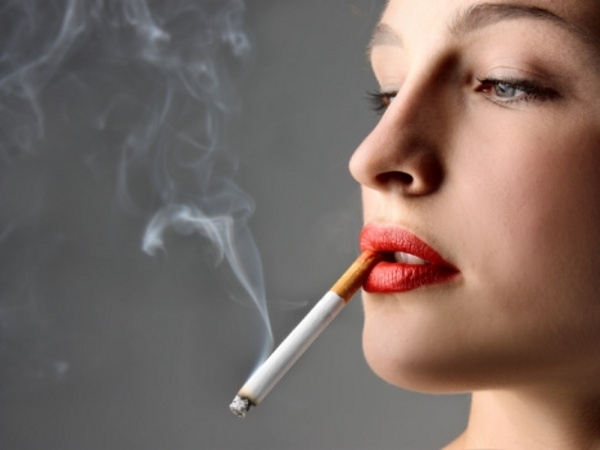 Recent studies have shown that women more than men have been smoking too much of tobacco. India now has more female smokers (over 12.1 million) than any country except the United States. Female smoking prevalence increased from 3% in 1980 to 3.2% in 2012. Smoking prevalence among Indian men decreased from 33.8% to 23% in the same period. An average Indian female smoker puffs more cigarettes a day (7) than her male counterpart (6.1). An average Indian woman is taking up smoking at 17.5 years of age as against 18.8 years among men. Also read- Have Faith In Me, Dad!